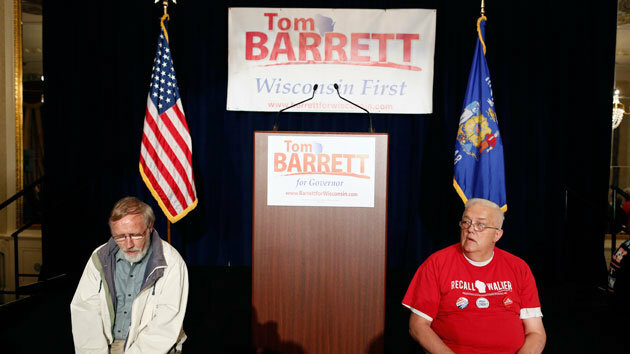 DejectedTom Barrett supporters after failed recall: Where was Obama? President Barack Obama now claims he was too busy to help fellow Democrats throw union-busting Wisconsin Gov. Scott Walker out of office in last week’s recall election. But Obama did nothing to alter the outcome of the election. He didn’t campaign for Democratic challenger Tom Barrett. He didn’t even put in an appearance in the state nor did he send in any surrogates to represent him. Which leaves the question: Will Wisconsin voters have time for him in November? Hey the guy’s got a country to run into the ground! cut him some slack, huh? Didn’t have any issues attending fund raisers in the general area. Romney didn’t show up either. How can anyone seriously consider voting for Obama again?